Does Your Horse Suffer from Lameness? If you answered “Yes” then you’re come to the right place! If your horse is limping, it’s most likely because something hurts, and by limping he/she is trying to alleviate the pain. But just what is causing the pain? Your first step in relieving your horse’s pain is determining whether the pain is the result of a hoof problem, or some other cause. This is where you need to call on your vet or farrier, to examine your horse to find out if the pain is hoof-related, or being caused by some other issue. In the case of the latter, we can’t help you. But if the former, get a bottle of Equinell™ Hoof and Mane Oil ASAP, and apply it to your horse’s hooves as directed. 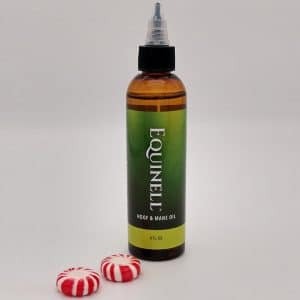 While Equinell™ Hoof and Mane Oil cannot help in every case of lameness, it has been used with amazing results where the lameness is due to a hoof issue. Numerous horse owners who have used Equinell™, have been delighted with the results. I had a couple of vials of Charlie’s formula in the car… I painted his feet, and left a couple of vials to use in the next few days. They weren’t needed. Four days later his feet were non tender, dry, and they seemed to give him no problem when he was under saddle. Many lame horses have been helped with the application of Equinell™. If your horse suffers from lameness, don’t wait any longer… act NOW to alleviate his/her pain… every moment you delay, your horse is HURTING. 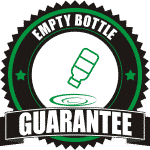 Give Equinell™ a try, and if you don’t agree that Equinell™ works way, WAY better than anything you’ve tried until now, just return the unused portion for a FULL, No-Hassle refund! You’ll be happy you tried Equinell™ – and so will your horse… we GUARANTEE IT.